I have always wondered whether this scripture is describing more than just the beginning of life on earth. Then I realized that it is! This scripture actually holds a coded message! My reason for making such a statement is because there is another creation of lights mentioned further down in the same chapter. So we see that this other creation of light on the fourth day is quite different from the one mentioned in verse 3. God “separated the light from the darkness.” (Genesis 1:4, 18 ESV). We would read this statement TWICE within the first four days of creation. So, it means more than just ordinary creations. 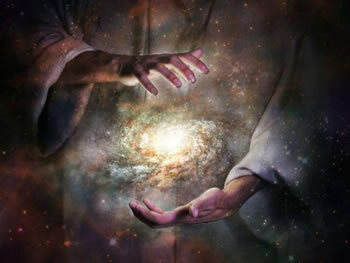 The very first verse said, “In the beginning God created the heaven and the earth.” That beginning was not the actual beginning because we know that angels existed before our universe was created; but that of our earth and her surrounding cosmos; the verse is even talking of something much deeper! It was the declaration of the beginning of God’s mystery. Then He said, let there be light. That light was not a natural light but the revelation of God’s mystery! Most bible readers would neglect to seek further clarity from God about the difference between verses 3 and 14. Instead, they would jump to their own conclusions or ignore the obvious difference completely, I did, for nearly 30 years. To prophet Hosea, God said, “My people are destroyed for lack of knowledge: because you have rejected knowledge, I will also reject you, that you shall be no priest to me: because you have forgotten the law of your God, I will also forget your children.” [Hosea 4:6]. What knowledge is He talking about? The light given by His revealed knowledge. We can therefore see how vitally important it is for us to pursue God, the giver of revelatory knowledge, so as to acquire it to become what He wants us to become. This is further emphasized in the following scripture: “He was in the world, and the world was made by him, and the world knew him not. He came unto his own, and his own received him not.” [John 1:10-12] People were too blind to acknowledge His presence as the Son of God. Yes and no. Yes, because He is God and He has no equal. He is omnipotent and omniscient. No one is capable of challenging His abilities at any sphere of existence. When He relates with His creation, He comes down to their level and displays His splendor. No, He is not mysterious because He really wants us to know Him, He wants us to always seek more than we already have and that is why He commands us to seek Him, “Seek and you shall find”. He wants to make honorable royalty out of us. Look at these three scriptures. God has revealed His blueprint of creation in the scriptures but they were sealed in the Bible from the beginning; the seals are now being opened and we are partakers of these revealed divine mysteries. They are so beautiful that we are just beginning to scratch the surface! “In a dream, in a vision of the night, when deep sleep comes on men, while they take their rest on their beds; Then he makes his secrets clear to men, so that they are full of fear at what they see;” [Job 33:15-16 BBE]. Anyone who desires can know His plans and purposes, but you must show your willingness in accordance to His terms. He will not give to dogs what is holy. 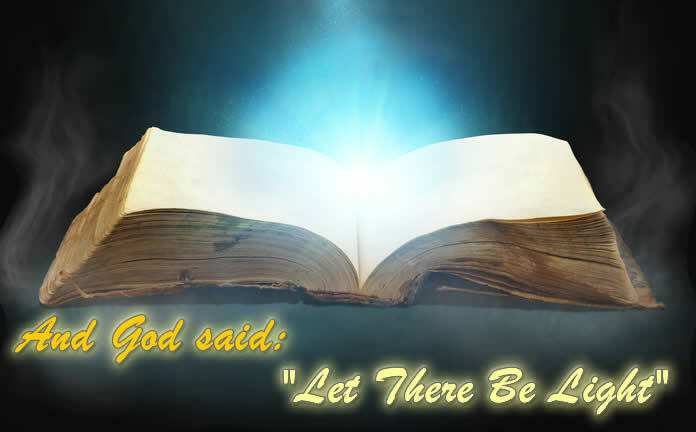 “And God said, let there be light…” That light is the revealed knowledge of God’s mystery! You can choose to humble yourself before Him and come into the light or remain proud and stay in darkness – it is YOUR choice! Next time, I will be writing on “Reign As Kings….“ don’t miss it! I am speechless….this is what I have been seekeing forr all this time.Thank you brother John for such a powerful teaching,I am blessed. Thanks for your comment, Katz. I hope it not only blesses you, but you use its knowledge and understanding to bless others as well.